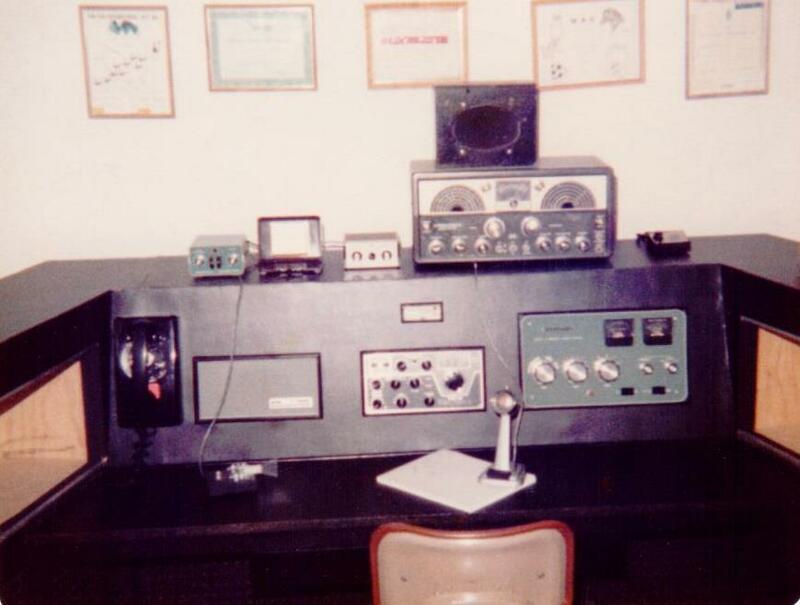 I was first licensed as WN8IQN in 1971. 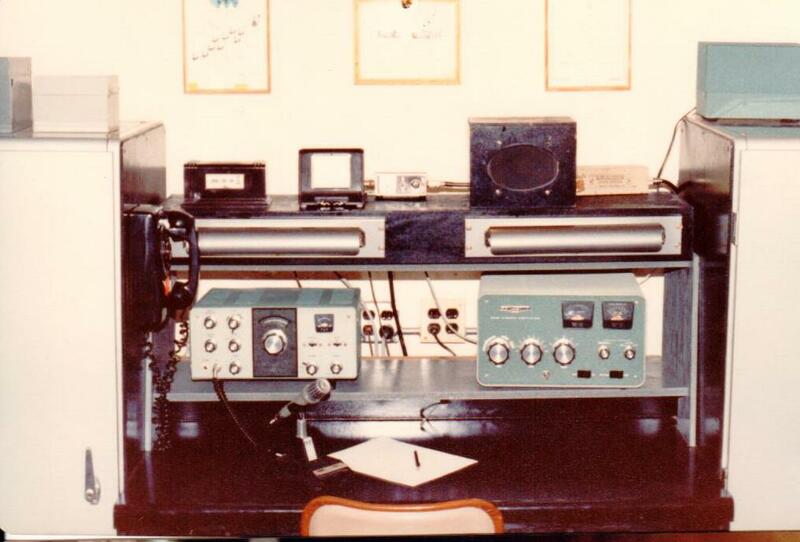 My first station consisted of an EICO 720, 3 40 meter crystals, a J-38 key and a Hallicrafters SX-100 receiver. 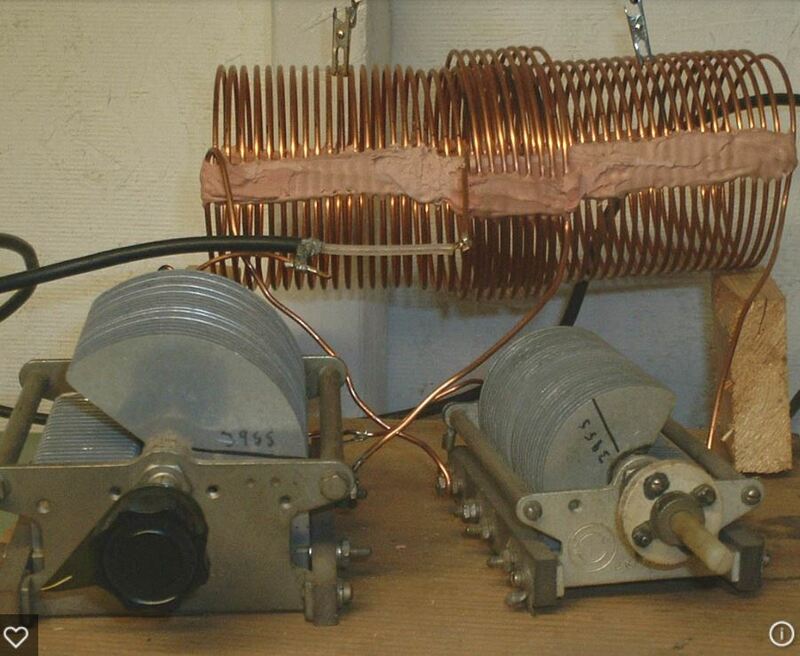 The antenna was a dipole suspended between two trees with a “bucket of bricks” (literally) as a counter weight. My OM, K8DWE, insisted that I not be an appliance operator and had me build a tuner and a dummy load. 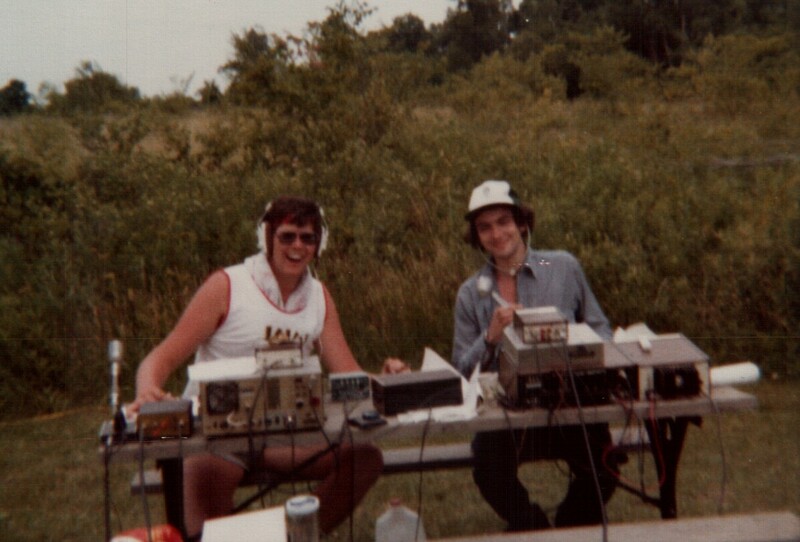 I was 12 and it seemed like quite a challenge, but, a few RF burns later and I was on the air. 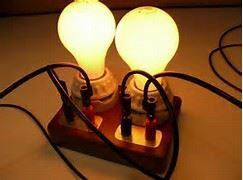 And who thought you could use two 50 watt bulbs as a dummy load? 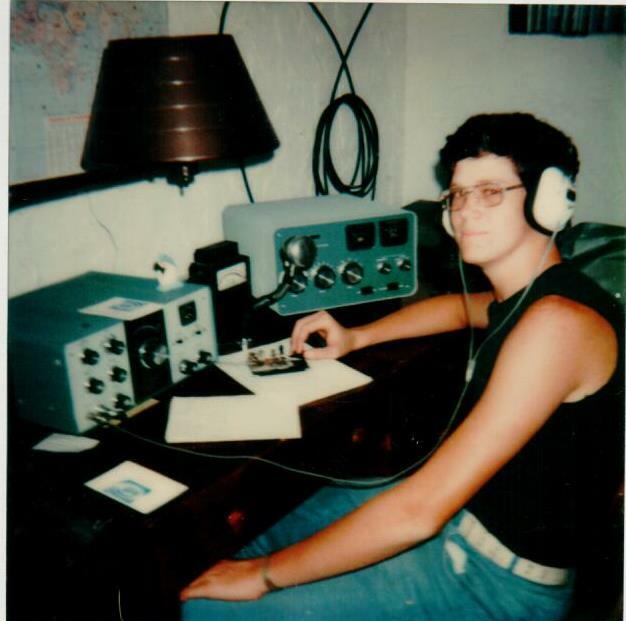 I worked quite a bit of 40 meter CW, but, started playing basketball and somewhat drifted away after a time. 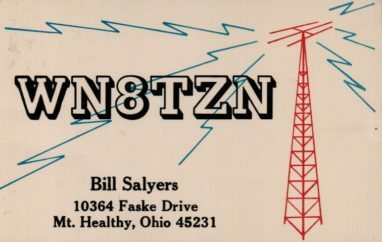 Three years later, I again passed the Novice test and received WN8TZN. 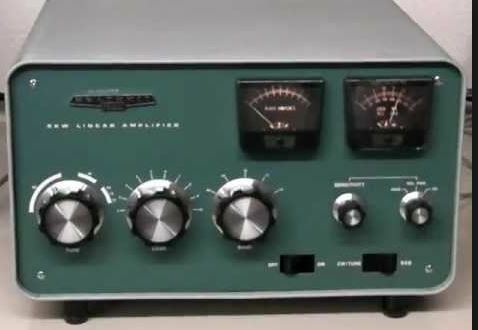 That station consisted of the same Hallicrafters SX-100 receiver, but, this time we built the “Novice Special” that was featured in the 1971 ARRL handbook. 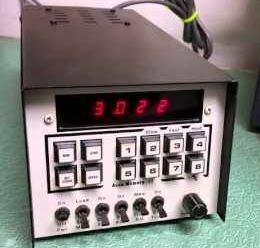 I used that rig quite a bit, and, with the help of yet another Handbook project, the Accu Keyer and Accu Memory (Remember those) I really became hooked on CW. After meeting up with K1FJ, Frank, at the University of Dayton school of engineering, I was bitten again, this time for good. 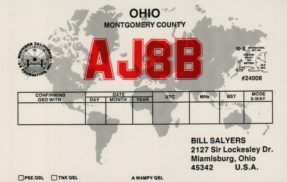 I passed the Novice, General and Advanced on August 11th of 1978 and received KB8DF. 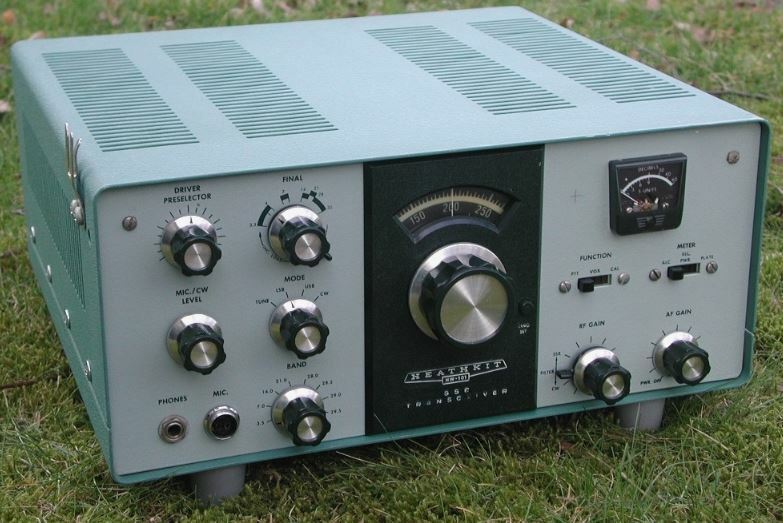 I used a Heathkit HW-101 and obtained a Heathkit SB-220. 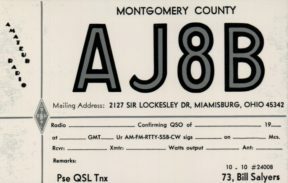 I started to regularly work DX and really started to enjoy the hobby. 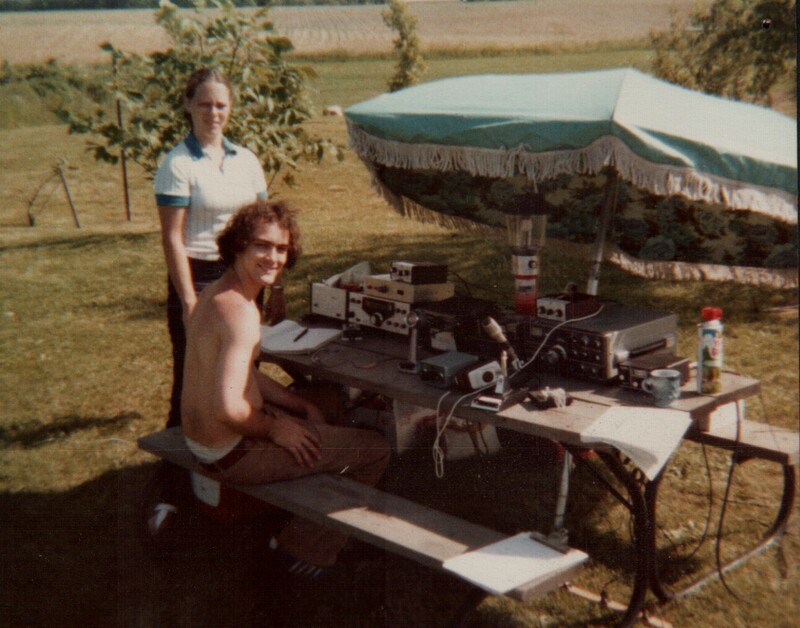 The summer of 1980 provided a lot of operating time, even coming home for lunch from my painting job to work some 10 meters. . Dad decided we needed more of an “operating console” than a ham desk and we built one! 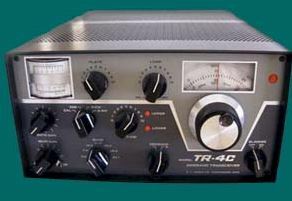 Eventually, we obtained a Drake TR-4 and a TR-22 from my aunt, WA8FLH. Of course, we had to upgrade to a better desk! 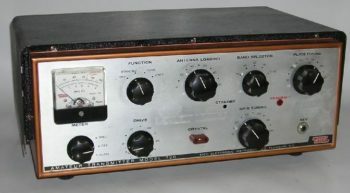 Frank and I worked a couple of Field Days with his XYL – KA9IFQ. and I really got in to contesting, even if it was for just a few hours at a time. 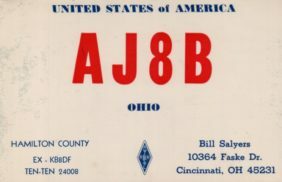 After tiring of hearing “If only you weren’t just an Advanced” from Frank, I upgraded in February of 1979. 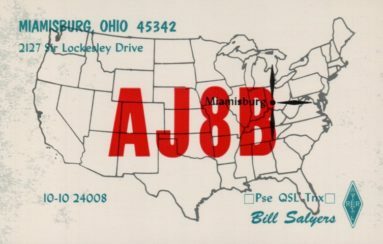 In April of 79, I received AJ8B. 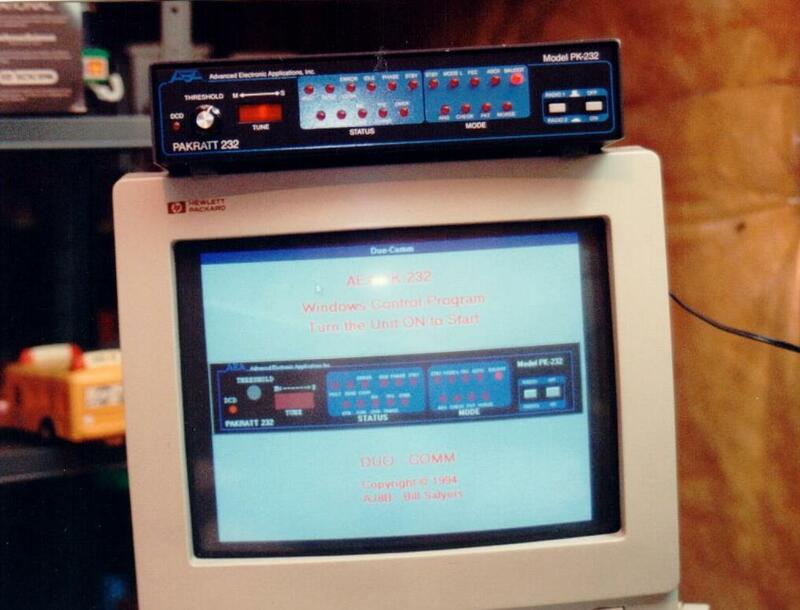 I created some shareware that allowed the control of two TNCs simultaneously – not available at that time. I was fortunate enough to have it featured in The DX Magazine. 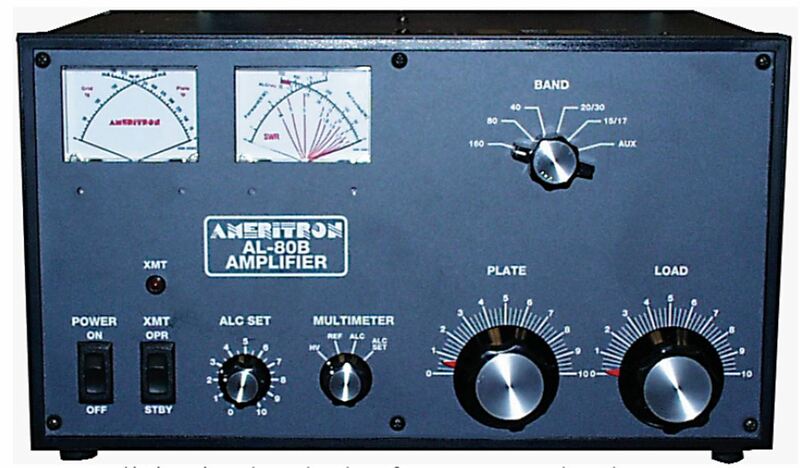 My current station consists of a Yaesu FT-950, Ameritron AL-80B amplifier and a Hustler Vertical. 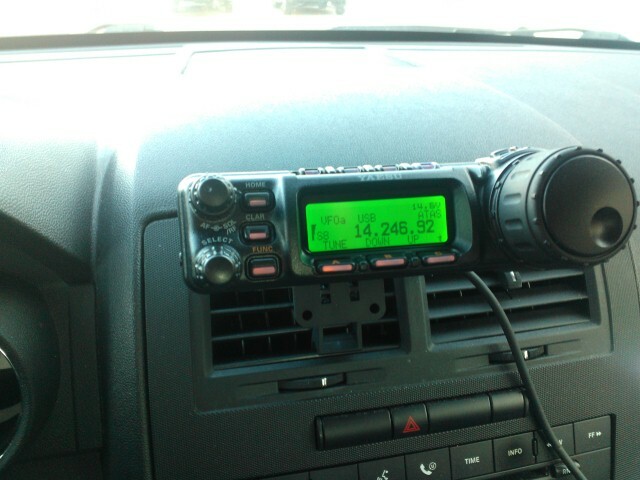 I have a Yaesu FT-857 in the car with an AT-120 antenna. Spending 2+ hours/day for my commute allows for plenty of air time. So far, I have 138 countries confirmed from the car. 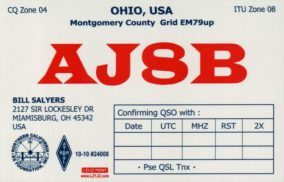 I have a K4KIO Hex Beam in the garage, just waiting for the time to put it on the end of the push up mast! I also use the DXLab software suite to manage all of this. 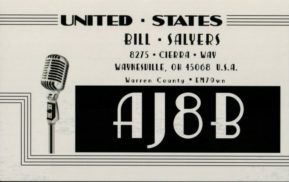 My OM and Elmer was Jerry, K8DWE. 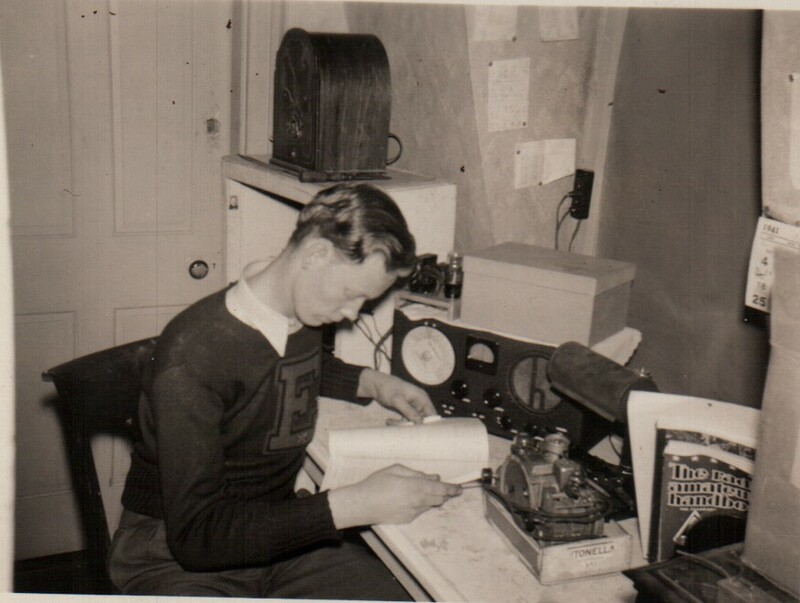 Dad became a Silent Key on 3/31/2014. 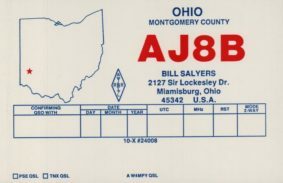 I am a member of the ARRL, NCDXF and the Southwest Ohio DX Association. 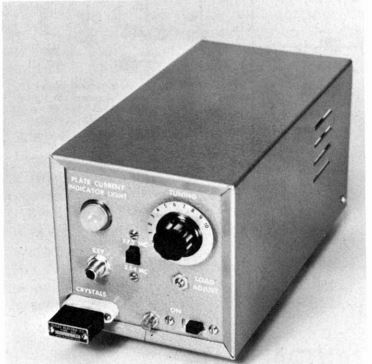 I recently achieved membership in CWOPS, #1567. I am also a member of the Mad River Contest Club.